LAST DAYS GLOBAL PRAYER NETWORK Ends. The Last Days Global Prayer network is closing because for months I haven't heard but from one person concerning these prayer requests. As a result of the lack people wanting to pray I have chosen to spend more time in areas that would help spread God Word. Please GOD unite me back with my love and bless me with my marriage to him ,with our parents blessings and happiness before the end of 2012. Please help me GOD . Please GOD you are my last hope. Please don't let me down .Please GOD also bless all other people in this world who have faith in you . Prayer Request starting date March 21, 2012: Sister Willie Jaye Lee just went into surgery...Please keep her in your prayers, as we know that God is in the HEALING business. We lift her name up HIGH in the MIGHTY name of Jesus Christ..She is having a very serious surgery affecting nerves and spine..will take up to 3-1/2hrs. We pray in the name of the Father, Son, & Holyspirit. Amen. Also, I have another request please keep K'mori Little lifted up in prayer. She's six years old and the young girl was ran over and drug over 100 ft. She's in University hospital and has many surgeries. Let's lift her and family in our prayers. Prayer request starting March 20, 2012 for Josh and his partner. This couple needs your prayers for this new trucking business. Ask Jesus to bless them as they take a step out in faith in Christ. This is the new truck they just got for the business. They want to pay off the truck in a year. Let us pray that Jesus blesses them and they will pay it off way before that time! Photo of the truck is below. Hi Frank,I can't seem to get to prayer site.Please pray for my husband as he gets surgery Thursday.He is getting addicted to pain pills and wants to get off them as he does have pain.He said he wants off them so pray for victory as I wean him off with Doctors help. AND I want to thank our great God for victory who is able to do more than we can ever imagine. Many are the afflictions of the righteous but God gets them through them all.AMEN and let us not GIVE UP. HE REALLY IS WITH US IN THE FIRE. JUST BELIEVE. Douglas & Michelle Gable (trust) Family, Johnson Family, Laws Family, Laparis Philips, Smiley family, Ruiz Family, & Barbara Gable, Pastor Keys & Family, Cheryl Haywood & Gabriella, Jones Family, Knobles Family, & Helen Ward. Father we asking you Lord to deliver us from sickness, health and to build our family stronger in the Faith in Jesus name. Thankyou! Man of God I would just want you to pray for me to remainstrong and trust in Jesus alone. My biggest prayer need is that the lord may give me peace ofmind .I have a lot of questions that I ask myself everyday; why did my motherhave to die and leave me without knowing my father. Why was I not born in anable family, family that could take care of me and give me good education. Myonly hope is that Jesus is going to come in this few days and take me home.Take me to a place where there no more struggling with our physical needs sheda lot of tears when a day passes and HE IS NOT BACK. Because I have to face aset of new problems. Am afraid that my friend is taking me like a burden to hisfamily and the only way I can stay from him is going to school. The burden isthat I don’t have anyone to pay for my school fees and with my high schoolcertificate I cannot get a job anywhere. Pray for me that I may get a way outthat I can go to school even as we wait for his coming. Pray for the all the believers in Kazakhstan deprived of a legal means of gathering for woship after hundreds of small churches and other religious groups were closed down earlier this month. Pray for "George," the brother still being held for interrogation in a neighbouring country because of his faith and ministry. Pray for him, his family, and for the other believers in that city. Ask God to give comfort and strength to the family of a colleague of Peter, whose father passed away. Ask God to meet the deepest needs of "Barry", a brother in this city weighed down by feelings of guilt and loneliness. Continue to pray for Assiya's healing. Ask God to help her through the difficult treatment she is receiving. Pray that by God'sgrace liz will recover. Her salivary ducts are blocked by stones, making it difficult to eat or talk, and leading to throat infections. Pray for Edward's father Nicolai, in hospital in serious condition. Pray for all those in Kazakhstan who do not know Jesus, that God's light will shine on them. Pray for the government of Kazakhstan, and particularly the President, that God's grace will protect and guide. I recently requested prayer from you for myself. I was falsely accused of abusing my children 6 days AFTER I filed for custody of them. I was arrested and spent nearly 8 months in jail in NC on a $250,000 bond before charges were dismissed but I was taken to MD to face allegations there. I was released on a $750 cash bond there and I faced trial on 3/7/12. Just a few moments ago I got an email from my attorney saying all charges in MD were being dismissed because the story has changed again and doesnt match up with the evidence that I had submitted through my attorney. I faced up to 46 years in prison and I refused all plea deal offers because I am innocent. I have always said I was innocent and the Lord has delivered me from false accusations made in a custody battle. As an ex cop being an inmate in jail was tough but God delivered me and gave me the privelidge of being able to witness to gang members, a man who is now on death row and many other men who wanted to harm or kill me. I praise God for delivering me and setting me free. I am now going to focus on rebuilding my life, finding work and giving my testimony of just how mighty and powerful the Lord Jesus Christ is!! God bless you and thank you!! Remember what Dave wrote on Feb. 9? Check below: Feb. 24, Dave emailed me and told me the Lord has taken care of him. He has a place to go and it appears the Lord is going to give him a job. My how things change when you seek Christ! Please pray for me. The situation of me going to Texas has fallen through. Originally an older Christian couple asked me to stay with them in Texas, however I just received an email that their family was not supportive of it. So now I only have three weeks to find a place to live and I have no money. Right now God is the only solution to keep me from being totally homeless. I am at a loss for what God wants me to do, so I also need his guidance. New prayer requeststarting date Feb. 1, 2012 from Clint Reep. I found your website about a month ago and I wanted to thank you for your service to the Lord. I also wanted to submit a personal prayer request for an urgent situation I face. I was falosely accused of a terrible thing and I face a very serious charge from it. 6 days after I filed an emergency custody petition for my children I was accused of abusing them. I am asking believers to agree with me for the truth to be known. If I am guilty of what they say I should go to prison but if I am innocent I should be exhonerated and restored. I am not asking God to let me get away with a crime but to reveal the truth about what I have been accused of. My ex wife is living an openly gay lifestyle in front of my children and when I tried to get custody I was arrested and spennt nearly 8 months in jail before charges were dropped in one state but I face trial in another state. I did not do what I am accused of but I have been completely destoryed both financially and my reputation. The only way I will ever see my children again is by God intervening. New prayer request starting date Jan. 5, 2012 from Dave S. Hey Frank, Just wanted to see if you could keep me in prayer and ask the Lord to help me financially. I left Los Angeles two months ago to live with a friend in Chicago in hopes of finding no cost medical treatment for a spinal injury and have not been able to get help. With the injury I have been unable to work and yet cannot get any kind of state or federal assistance either. I am flat broke and will lose cell phone service this weekend so I really need God to work a miracle for me or at least give me the direction that I need to go in to resolve these financial issues. New prayer request starting date Dec. 20, 2011: Need of Prayer! New prayer request starting date Dec. 7, 2011: Dear Friends & Family, I have an urgent prayer request regarding Pastor Jim Locke of Free Indeed Worship Center ~ Ft. Lauderdale. Please lift him up for healing concerning an on-going battle against the infirmity of cancer. --- God's Will apparently Was done...no new job... Yet:) sometimes the Lord has Better plans ahead ! Just wanted to see if you could keep me in prayer again. I still don't have a phone but now it's a bigger issue. I left L.A. and am now in Chicago staying with a friend. Due to a financial hardship that my friend and his family are now experiencing, I need to find a new place to live by the end of February. Right now I'm in a strange place with no money and no place to go. I've prayed that God provide and show me what to do but have yet to hear anything. Prayer request from Cinday Nov. 26, 2011, Bob is home and doing pretty well. Only problem is that he goes in and out of atrial fibrillation and this is a big concern. This also makes it difficult for him to sleep at night. Doctors say he has 7 weeks for this issue to resolve, before they do more serious treatment. He needs to get into a normal heart rhythm. That gives us 7 weeks to pray! Lets all pray in unity and agreement for Bob's healing. Happy Thanksgiving to all of you! Prayer request for Oct. 16, 2011from Gretchen Tamarra. Brother Frank, I would like to ask you to please include my family in your prayer. They are still bind in their tradition, still going to church that is worshiping idols. That's why sometimes I feel weak because I'm surrounded with unbelievers but by God's grace I stand and hold on to my faith. I was once a lost ship, once in the dark, thought my works could save me. But God is merciful and He called me and I accepted Him. God knows I desire that my family will be save as well. I've already share the gospel to them and encourage them to read the Bible. Brother Frank please include our family in your prayer, TAMARRA FAMILY and my bestfriend VICTORIA DE LEON and her family in Cebu Philippines. After two years of sharing the gospel to my bestfriend finally accepted Jesus Christ in her life and she's been visiting in your site as well. 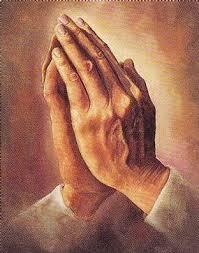 "Please keep continuing to pray for one and for another in these perilous times. We need to lift up sister Susan mother in our prayers. She is fighting pneumonia while she is in the hospital. Her name is Hopie Hernandez. My Brother (Akram) in the faith getting prepared to preach the gospel. Also please pray for the families around the Globe who are suffering financially around the Globe and the U.S. (Israel to as they are going to divide Israel land). Anyone else need of prayer? We all need prayers. In Christ Jesus amen. Thanks - brother Doug"